Hey that is great.... I wonder how much of the power increase results from deleting the cat, any idea about that? After looking at the dyno charts on the 10 PSI boost I have to admit to giving the weapon R strong consideration..... I am due to receive a small wind fall in the form of a tax break and paying off the note on my barn so hopefully I will be proceeding in the same direction you are.....My hood louvers work great and my wife even says the look good too..... The radiator hoses can be squeezed after 5 miles at over 100MPH and the oil dip stick and oil is about as warm as bath water..... I will try to find a way to post a picture. Awesome, Ill post dyno sheets as soon as I get them next month. weapon r race header+50mm skunk catback=best setup by far. Thats sad, i cant put the skunk2 catback because the cops here check it a lot. 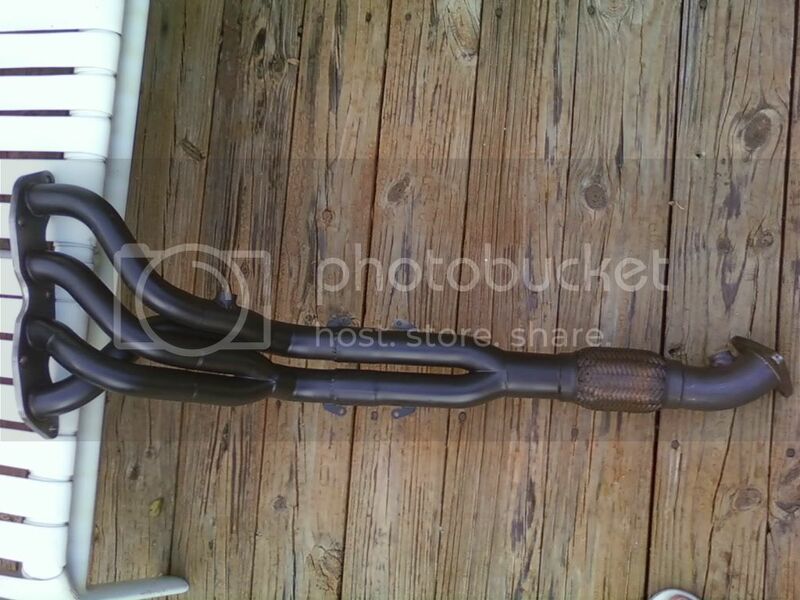 just get the skunk 2 catback when theyre selling it for cheap again. then weld a quieter muffler on it. I'm planning to put a custom magnaflow catback. I found smaller diameter pipes to work best on motorcycles many years ago.... I had a custom 2 into 1 into 2 crossover exhaust on a very trick Harley Shovel Head with a 2 1/4" collector and fishtail tips that made crazy power throughout the the whole power band..... I still can't figure out why it worked so well unless it had to do with the total length of the system..... I am reluctant to change anything exhaust related without hearing and processing a lot of info. As my car is still mainly stock, i think i'll only go with a Header and a Axleback! Kurse is right when he says that it's only a small 1500cc engine but i would also say that it's a small 1500cc engine spinning only to 6500Rpm! My 1997 DOHC Neon was putting near 180Whp with it's stock catback that was a good 2¼ mandrel bent piece of stainless steel goodness! But it had a header and a Magnaflow Muffler! What i mean is, to me the stock b-pipe on a fit should be sufficient for near stock engines... A header and Axleback should be perfect for that! Anyway i'm sure there is more power trapped in the intake manifold then in the stock b-pipe! In the old days before variable adjusting cam lift and timing and 2 valve per cylinder heads it was all about huge pipes and volume to eliminate back pressure and since there has been more concentration on flow velocity as a means to extract exhaust gasses..... I look at it like the difference between trying to siphon liquid through a large hose in comparison to using a smaller one or using a nozzle on the end of a hose that moves the water faster by squeezing the flow through a smaller orifice to increase the velocity of the flow.... Smaller pipes rather than increasing back pressure increases the speed of the flow and scavenges the exhaust gasses and helps to pull intake A/F mixture into the combustion chamber during the transition period between the the exhaust and intake stroke when both intake and exhaust valves are momentarily opened at the same time increasing the volume of the intake volume.... High performance engines of the 1930s actually had exhaust scavenging pumps in addition to super chargers to increase this process and the same principal is somewhat accomplished by turbo chargers making huge exhaust pipes a plus for power gains..... It is a real problem trying to match a system to a car that will produce maximum power gains throughout the RPM range of an engine to match the driving style and needs of all drivers and gearing configurations..... Saying which components are best is variably relevant to many factors and unless you run at an almost constant throttle opening, load and RPM any exhaust system is a compromise. 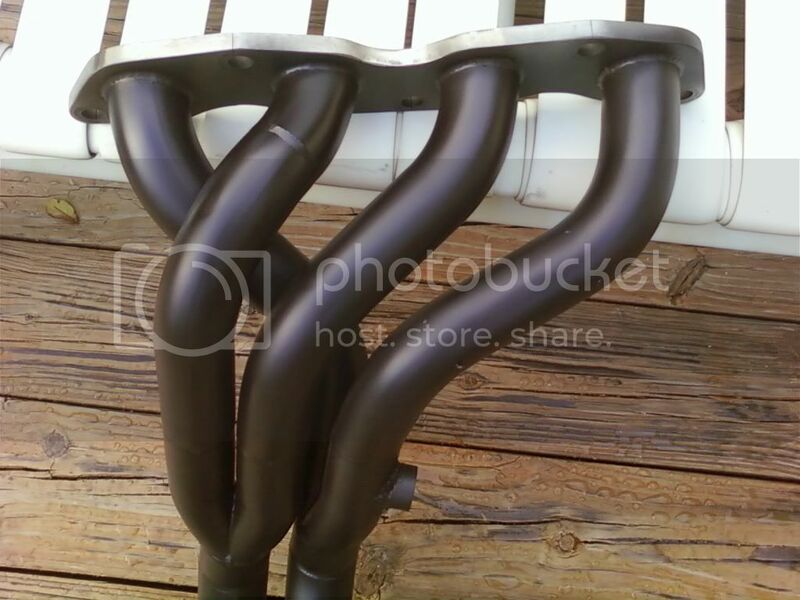 Say you do go for Weapon R Race headers. you gotta play to play. and if you dont have anything crazy attention stuff on the outside i wouldnt worry about it. yes it is illegal to roll around without a cat in some states. i think its like a 2k fine over in san diego. but their gonna pulll over an integra faster then they will a fit. so im not to worried about it. Being an old guy helps you get by with stuff also if your tinted windows are down so you can be seen and you aren't at red line in 3rd gear while motoring along through a school zone while the yellow lights are flashing.... Being that I am an old fart and sometimes wish I hadn't spent as much on a lot of the stuff I bought thinking that whatever it was would improve whichever's performance, I have learned a little bit.... As far as the Fit goes, unless you have a tuning device to alter the A/F ratio and timing or an ECU reflash there isn't much to be gained by installing an exhaust header and removing the Catalytic converter will result in some CEL problems..... If a system flows too freely there is going to be a loss of power in the low to mid range RPMs and you will need to keep the engine screaming all of the time to realize a power gain if any.... With the stock gear spacing being as wide as it is that will be a difficult thing to do..... As dewthedew pointed out smaller tubing works better and results in better response and he is running 10 PSI boost and has the ability to tune his A/F ratios and timing.... Spending a lot on a high performance exhaust system for an other wise stock engine more likely than not will hurt the the performance of your car overall. That's why i'm gonna use the stock B-Pipe for the time being!! (N/A and low mods!) along with a DC Sports Header and a A-Spec Axleback with a silencer for the street! is this a weapon R / megan header ?